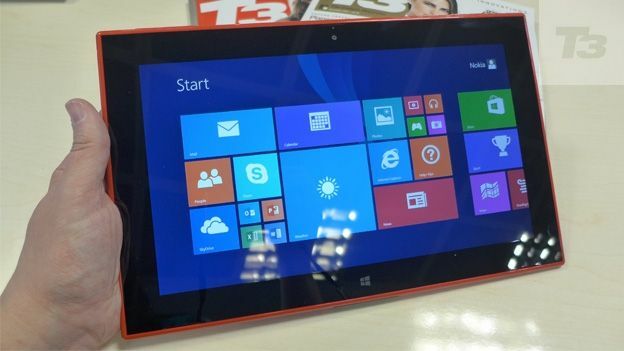 Nokia has pulled its tablet off sale over concerns users could receive an electric shock while it is being charged. UK owners of the Nokia Lumia 2520 are “strongly advised to suspend use of the AC–300 charger until further notice”. Nokia has not yet announced how it will resolve the situation, but has stressed it is working on it. The company has stressed that no owners have been shocked. Rather it's an issue that came up in post-launch testing. Around 3,000 tablets are believed to be affected by the issue. According to Nokia, the charger supplied with the Lumia 2520 has “a potential product quality issue that may potentially lead to a safety concern”. The issue is related to certain AC–300 chargers that were manufactured by a certain unnamed company. The charger was only supplied for use with Nokia's Lumia 2520 tablet. As such, none of the company's smartphones are affected. It also warned owners against using third party chargers. Owners of Nokia Lumia 2520 can register for updates about the issue by visiting nokia.com/2520-charger.